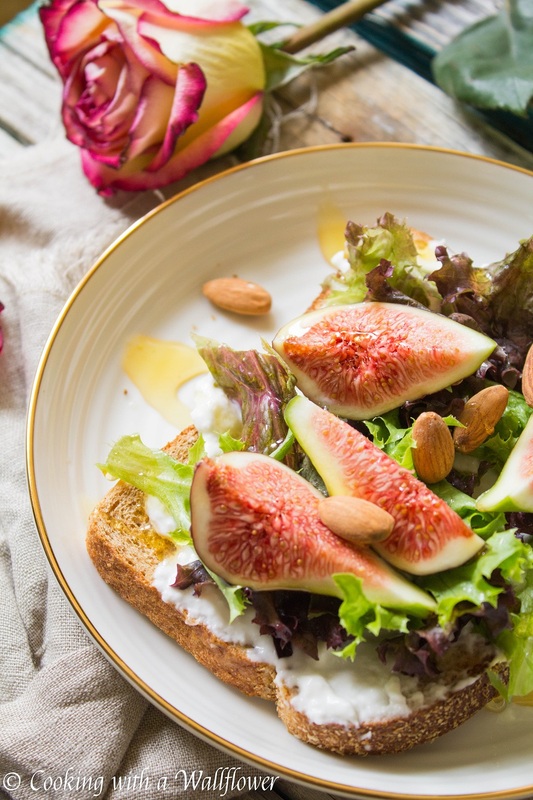 Warm toast topped with creamy burrata, fresh figs, roasted almonds, and a drizzle of honey. 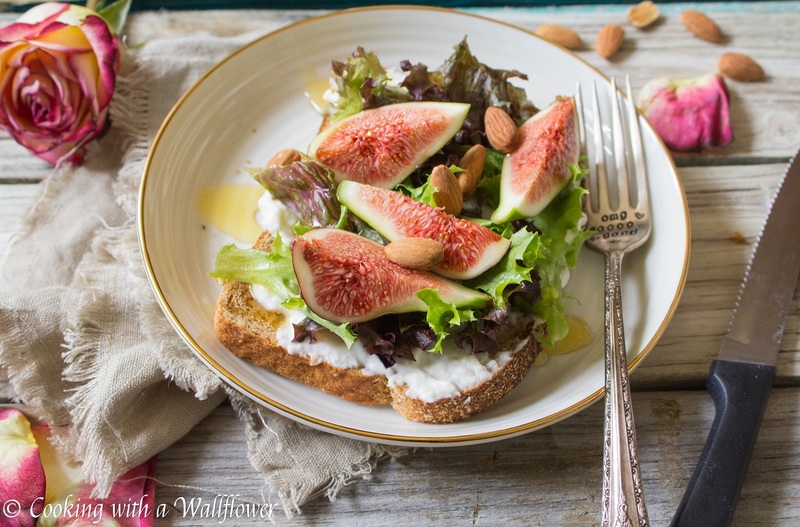 This honey fig burrata toast is simple yet delicious. 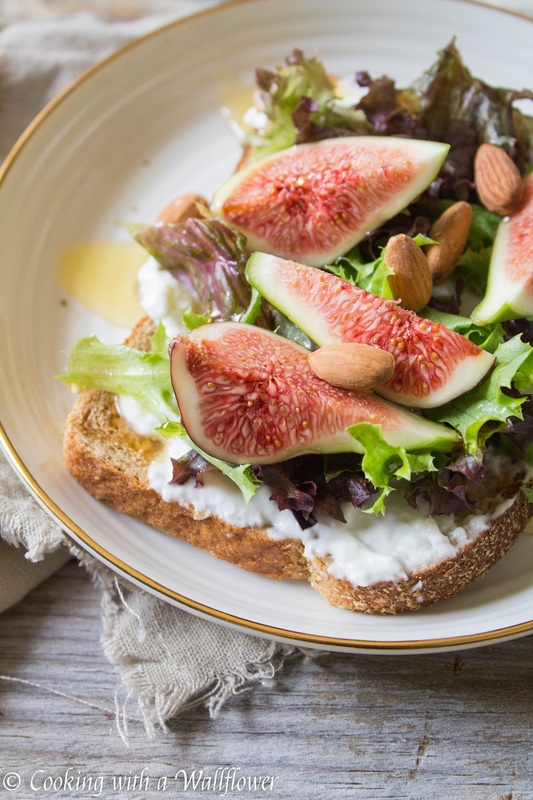 In the meantime, let’s talk about this honey fig burrata toast. I’ve been obsessed with toast for like ever. There are so many different versions out there. And now, I’m trying to make my own. Breakfast, snack, appetizer. I want them all. And I want to share all of them with you. Have you ever had burrata? If you haven’t, you need to try it. It’s soo soo good. Burrata is definitely pricier compared to mozzarella, but it’s so creamy and perfect for spreading onto toast. Topped with fresh ingredients, like baby lettuce and figs, it’s the perfect snack or light meal. Near my grandma’s house, one of her neighbors have a huge fig tree. He sets a ladder underneath the tree so anyone who wants figs can pick them. So we always have some fresh figs on hand as long as the tree still has fruit. Spread burrata on warm toast. Top with baby lettuce or arugula. Top with fresh figs that have been quartered. Add roasted almonds. Then drizzle honey over the toast. Serve the honey fig burrata toast warm. 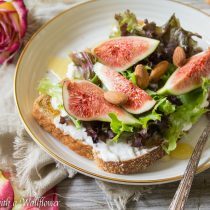 This entry was posted in Appetizers, Breakfast, Farmer's Market, Healthy, Quick and Easy, Recipes, Vegetarian and tagged appetizer, breakfast, farmer's market, quick and easy, side, toast. This sounds amazing! I am a huge fan on figs and honey. Definitely going to have to try this. I have a thing for all different versions of toast too! I did a post earlier this summer when it was just way to hot cook anything. 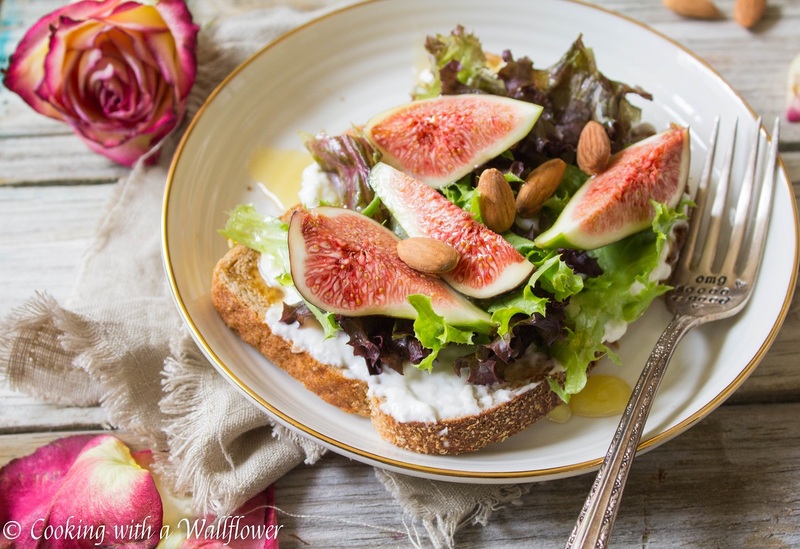 I LOVE the figs with burrata (and a little prosciutto too). This looks and sounds delicious and your pictures are absolutely beautiful! Yum! Such colourful & appetising illustrations! I love burrata, and am so excited to find a different way to enjoy it, apart from the tomatoes & basil combination. Andrea this looks so appetizing and elegant! I’m actually surprised it’s so easy to make. Thanks for sharing! 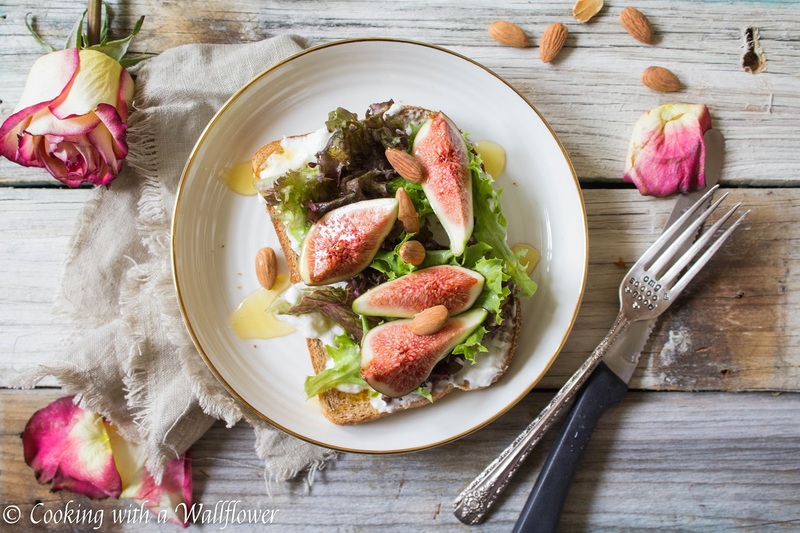 Gorgeous photos, I can almost taste those amazing figs. I have never tried burrata, is it like creme fraîche? Burrata is made of mozzarella and cream. It’s more solid on the outside like mozzarella, but when you break it, it’s super creamy on the inside. Hope that helps!